From last couple of years Trimo Urban Crash international students design competition challenges students of design and architecture to create a solution for an original urban construction. The competition is open to any undergraduate or diploma student of architecture, urban design or related disciplines from any country around the world. The winning project will be built by Trimo in a residential district of Ljubljana, Slovenia’s capital city. The winner will also receive a scholarship for the prestigious London School of Architecture, and all finalists will be able to participate in an architectural workshop to be held in Slovenia. The previous competition, run 2008/2009 attracted nearly 150 submissions from 17 countries. The winner, from Polish students, was a cultural stage, with characteristics of an urban sculpture. This year's theme is: The Life Stand - an architectural installation which is more than a tribune for watching games or events. It is a point of interaction and inspiration for inhabitants and visitors of all ages, interests and social standing, and simultaneously offering an answer to complex architectural and social questions common to many European urban residential areas with its original and well-thought out approach. You can submit a project for realization or approach the subject more theoretically or experimentally with a conceptual solution. 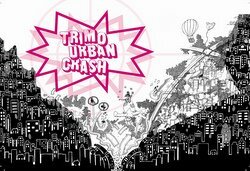 Trimo Urban Crash Competition website. The 24th World Congress of Architecture UIA2011 TOKYO is going to be held between September 25, Sunday - October 1, Saturday, 2011. The UIA Academic Program has declared a call for entry of academic papers and design to be presented in different events of the congress. The UIA2011 TOKYO Academic Program will provide architects, engineers, researchers and students from all over the world the opportunity to express their opinions related to one of three sub themes of UIA2011 TOKYO: (1)Environment, (2)Cultural Exchange and (3)Life, in two presentation categories: research papers and design works. The deadline of abstract submission is October 31, 2010. The authors whose abstracts have been accepted will conduct an oral or poster presentation in the UIA2011 TOKYO Academic Program from September 26 through 28, 2011. And visit the UIA 2011 Tokyo website.